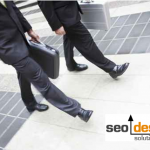 SEO involves a combination of on page and off page factors which produce a distinct effect (a higher ranking for specific exact match and broad match shingles). Therefore, instead of topically breezing over them in vague reference, let’s dig deeper into how search engines work and how you can craft your content, topical theme and link structure to amass a higher relevance score in search engines. We know that based on the link graph (the infrastructure of the web) that links all have distinctly different cycles for how and when they express their influence as well as each link peaks, recedes or sprouts page rank and authority. The reason applying SEO in layers matters is, with so many types of spam that search engines must combat in order to preserve the integrity of their result pages, often links are kept in quarantine for months before they pass value. Combine this with the fact that total link flow share is contingent on the inbound links in tandem with internal link flow and external links augmenting a page, then add crawl rate to the equation (it only matters if it is indexed) and it is no wonder why some pages take the lion share of traffic via keyword expression, authority or domain level infusion of ranking factors via osmosis. This is why using site architecture and scaling topical keyword/subjects allow the lens of your website to reach out (via tags) and funnel more juice to your internal pages, which in turn expand your websites taxonomy. For example, I understand they each keyword has a threshold/tipping point and through site architecture, internal links, relevant content (in exact match and broad match format) in addition to IP diversity from inbound links from other websites that each page can serve to rank the type of queries used in a search engine. 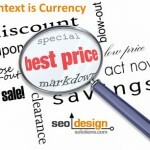 For example if I have an abundance of content which includes a particular word with a specific density or co-occurrence that is a direct indicator to search engines that the existence of that word in tandem with related keywords and supporting phrases means that each of those pages builds relevance for the root word. The more often it occurs within the site, the more page weight the root word has. Eventually, once your website has reached a threshold for co-occurrence on a page level and domain level, your website can acquire related rankings that pertain to that root word or phrase (even if it is sparsely mentioned in a title, description or in some instance on the page). Depending on the off page factors (who links to you, with what anchor text and the age and authority of the page or domain) the characteristics of those keywords are either amplified or nullified (based on relevance). There are various factors involved that determine which types of links to use when you use them and how you layer each make just as much sense as the anchor points you use to propel each page into the spotlight. No-follow from trusted domains, do-follow from relevant sites, directories (which may or may not score well or have authority), RSS directories, article marketing (for IP diversity), sitewide links (through blogrolls, widgets or badges), reciprocal links, etc. SEO is not just about creating content and crossing your fingers and throwing links at your pages to see what sticks, it is about ensuring that the on page factors require the least amount of energy to produce maximum results. Link building is just that, link building, but SEO is the real science behind the method, the blueprint, the taxonomy and the mapping of co-occurrence to ensure that the topical areas of interest rise to the top and define your theme. It is the potency of each link such as a high percentage of deep links, how many links are leaving that page, how many links are shared internally from strong internal or external pages that determine where each site fits into the link graph (and how it impacts rankings). 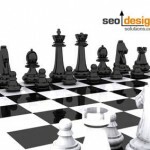 Depending on your strategy, you can determine if a page ranks specifically for a small subset of keywords or if you allow keyword stemming to occur and you take a less formal approach and let the site breathe a bit with a more nebulous approach for SEO. It is better to start with an exact match keyword first by building up internal link relevance from linking to a specific page with predetermined anchor text to expedite that keywords authority and importance in the ranking algorithm. For example, one of the reasons Wikipedia ranks so well for so many things is due to this type of internal link mapping and use of supporting external links. The word internet for example with over 2 billion competing pages is captured from 30K external links to ONE page and 50K internal links to the SAME page from within Wikipedia. Magnify that by millions of words, deep links and external links and what you have is a ranking juggernaut that devours markets, niches and contextual references whole. What I am suggesting is, it is possible to create the same type of site architecture on a smaller scale, map out the internal link flow and co-occurrence, the required amount of content for crossing the threshold/tipping point for your shingle “select keyword or key phrase” and ranking as a by-product or superior ranking factors. The only difference in what your site ranks for can be broken down to 2 simple things intention and execution. By using a few simple (search operator/metrics), you can determine what the tipping point is for any given keyword by looking at the top 3-5 sites ranking for those keywords, their deep link percentage, the content threshold and link profile of the supporting pages (both internal and external) based on the trails they leave behind. The one with the highest score (or least amount of diffusion) take the top position for the given root word or exact match phrase with the highest co-occurrence. Think of it of the page with the least resistance for any given keyword / co-occurrence search is the one that is returned. A query is just a request to eliminate millions of choices and narrow it down to the keywords placed in a specific array which determine the order of importance and contextual reference. Change the order of the query and new results are produced (even if it is through using capital or lower case letters the results can change) as emphasis plays a huge role in relevance. On a side-note, anchor text (the text in the link and volume of links with related anchors) plays a big role in this phenomenon (for scoring relevance for pages in the SERPs). 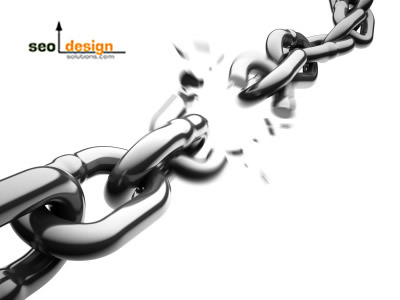 Without the proper dynamic for internal links or a high threshold of deep links to a page, sitemap or some method to feed the page adequate link flow, it will fall short of the objective (and end up on page 2 or beyond). The pages that rise to the top are those that exceed the keywords tipping point for any given keyword. Depending on the phrase and how many pages are targeting that exact shingle “group of words”, the requirements shift for co-occurrence and expression. For example, a long tail keyword may only require 2 pages of content, a few internal links and one good link from another source outside the website. On the other hand a competitive term may require thousands of pages on the topic (or at least have the keyword married to related phrases on thousands of pages across a domain) in tandem with thousands of internal and external links from other sites to that page. 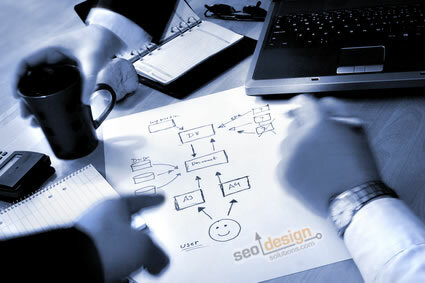 There is no guesswork associated with SEO, it is all based on mathematical equations cloaked in relevance. The key is understanding how search engines compile data, how they evaluate certain metrics and how you can implement the proper use of resources to impact the end result . Jeffrey_Smith Jeffrey_Smith How SEO Really Works!